PNP stands for “Provincial Nominee Program.” PNPs allow Canadian provinces and territories to nominate individuals for permanent immigration. Streams that are separate from Express Entry are known as base streams. These streams may be useful for people who are not eligible to immigrate to Canada through Express Entry. Under Canada’s Immigration Levels Plan for 2017, the government plans to bring in up to 54,000 new permanent residents through the PNPs this year alone. The government’s new Immigration Levels Plan will be made public within the next two weeks. This plan will provide more opportunities for provinces to nominate people for immigration to Canada. allow eligible individuals to apply without a job offer if they have work experience in an in-demand occupation. Later in August, Saskatchewan increased its annual application intake for the Express Entry sub-category from 1,700 to 2,600. Another popular Express Entry-aligned PNP option is the Nova Scotia Demand: Express Entry (NSDEE) stream, part of the Nova Scotia Nominee Program (NSNP). NSDEE has an eligible occupations list and operates on a first-come, first-served basis. A job offer is not required, but potential applicants must have an active Express Entry profile and satisfy other criteria. On October 11, Nova Scotia opened this stream for up to 300 new applications. The intake was filled later the same day. Nova Scotia plans to reopen the program in the near future. Manitoba has continued to invite skilled workers and business people to apply for provincial nomination under the Manitoba Provincial Nominee Program (MPNP). The majority of the invited candidates were invited under the Skilled Worker in Manitoba category, though a substantial minority were in the Skilled Worker Overseas category. Manitoba Business Stream offers a straightforward pathway to permanent residence — no temporary status period is required. 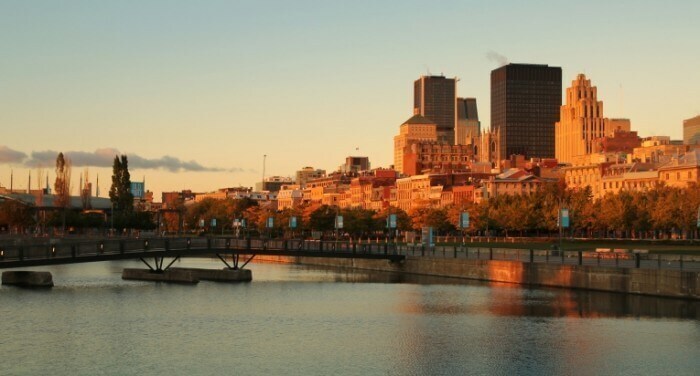 In September 2017, New Brunswick’s increased the Express Entry Labour Market Stream and began accepting applications for a temporary period from eligible candidates in the pool who had work experience in an eligible occupation and had attended an information session hosted by the immigration authorities of New Brunswick. Ontario placed a hold on the intake for the Express Entry-aligned Human Capital Priorities stream in late July. This followed innovate strategies taken by immigration authorities in Ontario, among them a strategy whereby the OINP searched for candidates in the Express Entry draw with experience in certain Information and Communications Technology (ICT) occupations. These candidates were prioritized for selection, even if they scored less than 400 CRS points. Normally, Ontario only invites candidates with 400 or more CRS points under this stream. The Human Capital Priorities stream — which may reopen its intake at any time — is a passive stream, whereby candidates in the Express Entry pool may be invited by the OINP to apply for a nomination. Alberta has issued 4,300 provincial nomination certificates so far in 2017 under the Alberta Immigrant Nominee Program (AINP). Around 1,150 of these nominations have been issued over the past three months, showing the ongoing efforts of AINP staff to welcome newcomers, as well as existing temporary residents, as new permanent residents. Here at Jane Katkova & Associates, we help people who wish to immigrate to Canada. Hi , i am harpreet singh i work as truck driver in india , so i wanted know that is i am eligible for express entry visa . Kindly revert . Could you please fill out the form and one of our immigration specialist will reply to you directly?